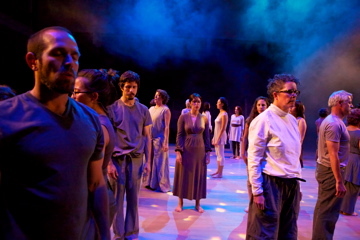 The Vak Project is a creative presenting, performing and educational initiative committed to awakening the public's relationship to sound and voice. 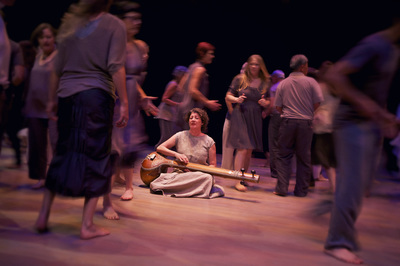 Tha Vak Project was established in 2012 thru a generous commission established by the Yerba Buena Center for the Arts and is named after the Hindu goddess Vak, who brings the world into being through sound The Vak Project's first major effort was the formation of the Vak Choir Of Everyday Voices, a diverse group of individuals of all ages, professions and backgrounds, who perform music rooted in yogic sound principles under the direction of Ann Dyer. The Vak Choir encourages the intrinsic beauty of the individual voice, the solace found in singing together, and the potential for profound moments of realization to occur thru yogic sound practices. 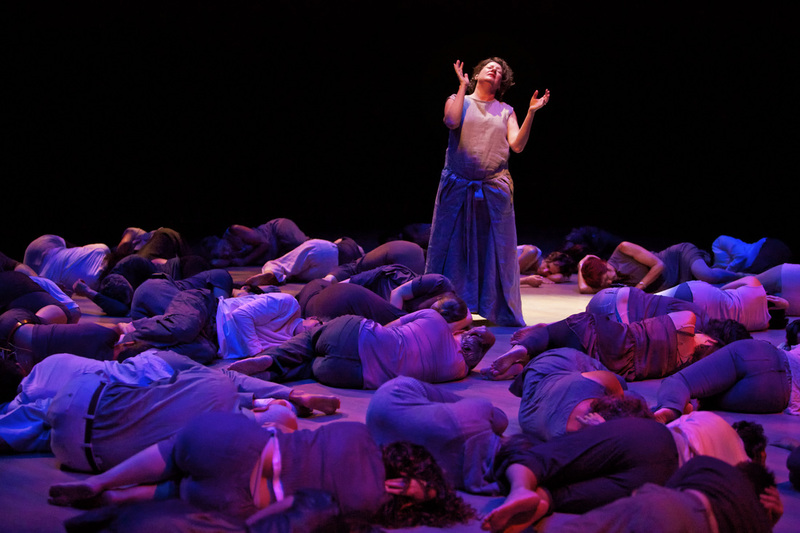 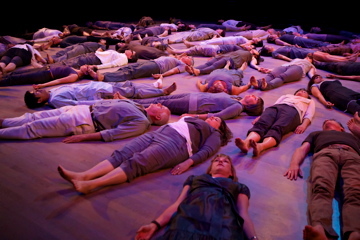 The Vak Choir made their premiere performance to sold out audiences and critical acclaim at the YBCA in Fall of 2013 in the interdisciplinary piece Vak: Song of Becoming. 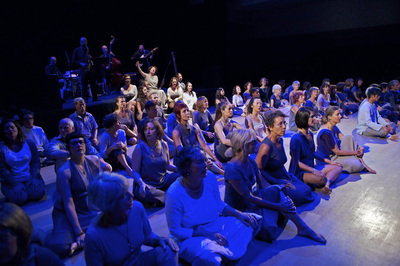 Following the YBCA premiere, Vak Choir Director Ann Dyer was commissioned to create Sounding Transformation, a live, site-specific sound installation performed by the Vak Choir especially for the touring Smithsonian Institute exhibition, Yoga: Art of Transformation. 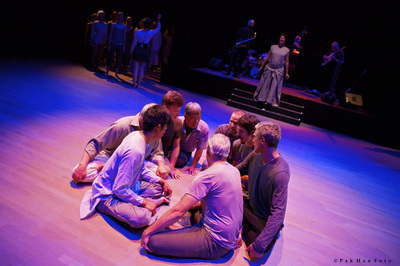 ​For more on the Vak Project and Choir visit www.songofbecoming.